I'm sponsoring the fabulous December Mood Board Challenge - a fun challenge for scrapbookers and papercrafters to enjoy and get creative. Jot Magazine host this each month, giving us beautiful mood boards to be inspired by like the one below. Win a stash of papercraft goodness by entering Jot Magazine's challenge! This is a marvellous way to get your arty mojo a kickstart into thinking outside of the colours you would normally use. For instance, I usually go for greens, reds and ocean blues... so this is a great way to use pink (that I don't use much at all) and other lighter shades. Don't get me wrong, I do like pretty pastels... but just prefer bright colours like lime, lemons and oranges - Just realised, what a great way to get a daily fruit intake! The prize for December will be a large pack full of art and papercraft goodness! I'm a bit excited about being part of this challenge... and its just so much fun rummaging about my studio shop choosing what to include - and trying not to get sidetracked by the ideas that just spring up when I do things like this! Well, I finally decided and chose supplies that I would love to win - Dylusions ink sprays, Ranger Distress ink, chipboard, markers, ribbons, pearl bling, scrapbook paper (suitable for both scrapbooking and project life), alphabet stickers and a few other things! I've been with Kaszazz for over a year now, absorbing knowledge and making wonderful friends along the way. But I think its time to stretch my wings and get my Art by Jenny Design Shop filled with all my ideas... my brain can only hold so much at a time and my notebooks are overflowing! The Art by Jenny online shop is open now with a few graphic design products with a whole new section of art and craft supplies being added very soon. I can't wait to show off who have agreed to be included in my shop! Sign up to receive my eNews to be amongst the first to hear this news, when the doors open AND receive a special code that enables you to receive FREE postage and a fabulous thank you gift with your first order. Don't forget to enter the challenge!!! 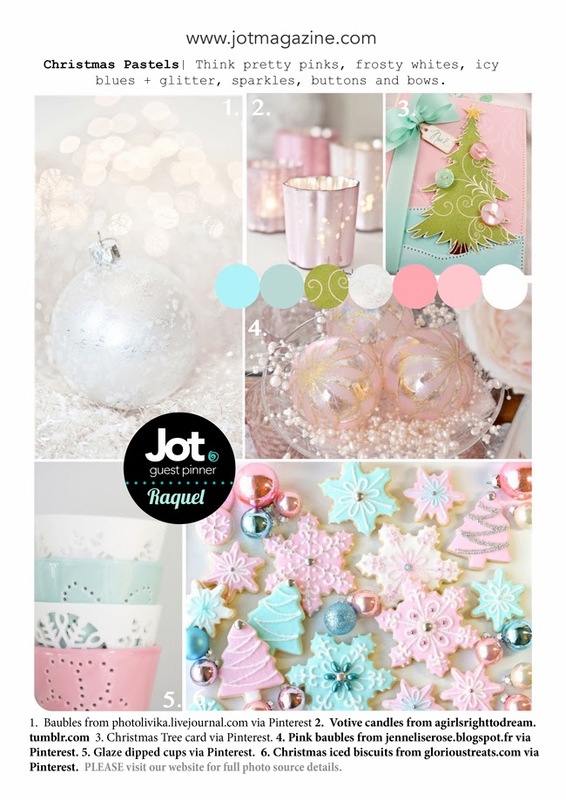 For full details visit the Jot Magazine's December Mood Board Challenge and make yourself at home.